We can’t say if you get the best food in the area around Villalba – but our children definitely think so! 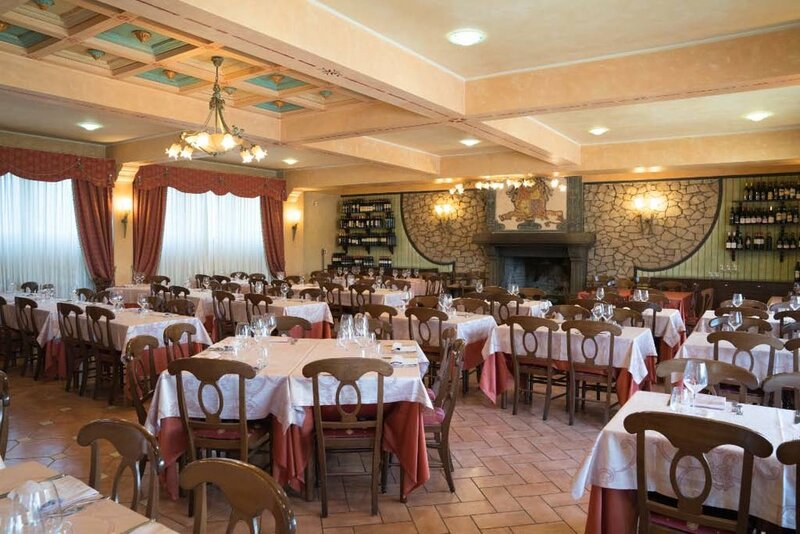 We have not yet succeeded in visiting all the restaurants after 20 years in Nemi and the surrounding area. Beneath you can see our favorites. This is the closest restaurant from Villalba and can be reached in 5 min walk. They serve the best pizza's in town, but they also have a full kitchen of pasta, fish and meat. A fantastic trattoria with great food, hectic and fun service, amazing view, it is possible to sit outside and you can even see Villalba from here. The prices are reasonable and there are many local guests. If you need quiet and peace it is not the place to go. Is a really good restaurant with a great variety of different dishes. Their risotto alla marinara is really good. Not really a restaurant but more take away pizza. It is quick and tastes great. Nice little restaurant in the centre of Nemi. The property is on three floors with terraces overlooking the lake with a breathtaking view. Very good restaurant with fantastic view of the Nemi lake. Also a great restaurant near Villalba. They do very good grilled meat grilled over open fire. Giorgio runs the restaurant with his three nephews. Here you get the “worlds best" spaghetti al’sugo and spaghetti carbonara. The restaurant does not look like much, but the food and the view is outstanding. It is probably the “finest” restaurant in the area - you may dress neatly. The prices are though okay reasonable. They grill meat dishes such as baby lamb and beef. They have a large variety of good wines. A fantastic little osteria in Ariccia close to Villalba. Order their antipasto and you don't need more. One of the fine restaurants in the Nemi area. Great wine selection. We have made our personal Top 10 list of the best restaurants we have visited in Rome.